Nauru is a pretty tricky visa to get. The visa process is so tricky in fact that not even the U.S. State Department provides instructions on how to get this visa. By following the links above, you will see, step-by-step, how to get the visa for Nauru. 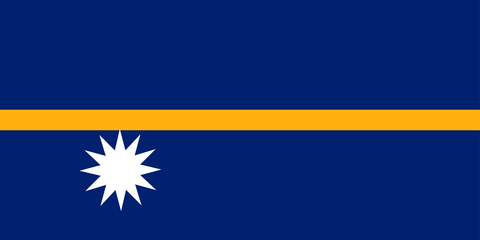 Nauru collects a departure tax that is included in the cost of airfare. Nauru is really one of those countries that most people go to who are interested in adding as many countries to their bucket list before they die. I actually rank the Nauru visa process as one of the top 10 most difficult visa process in the world because there is so much bureaucracy and the paperwork all goes to one place (i.e. Brisbane, Australia).